Image above: “The collaboration is in line with Uppsala BIO’s mission of driving the development of the region’s life science industry,” says Erik Olaisson, Business Developer at Uppsala BIO. Uppsala is a fast-growing city with a long and strong tradition of developing life science innovations and making international business of them. A tradition that lives on in the large number of companies found in the business park today – a number that continues to grow. Uppsala BIO is the region’s industry-competent hub, a cluster organization with a broad growth mission and a mandate to gather together various players around specific issues and, if necessary, initiate special operational activities. The growth mission includes supporting mature-phase companies and, in collaboration with Uppsala’s two universities and the public sector, ensuring that Uppsala remains an attractive region for companies to establish themselves. This is of great importance for the region’s continued industrial development and, thereby, employment. Uppsala Bio is a fast-moving independent player in the regional and national life science ecosystem, uniquely positioned to address both small and large life science company needs. Uppsala BIO was one of three winners in the first Vinnväxt call 2003. Since the start 2003, Uppsala Bio has been working to stimulate growth in the life science sector. Together with the universities, companies, healthcare, and society Uppsala Bio strive to increase the sector’s international competitiveness. Since the beginning of 2018 and in collaboration with Klövern, Uppsala BIO has been the driving force behind Conextion activities in Uppsala Business Park. This latest Conextion initiative involves taking the city’s life science players and activities into the business park, thereby promoting meetings, innovation and business. Conextion is also the name of a physical meeting place for anyone who works in or visits Uppsala Business Park. “The collaboration around Conextion is fully in line with Uppsala BIO’s mission of being an important engine in driving the development and growth of the region’s life science industry,” says Erik Olaisson, Business Developer at Uppsala BIO and responsible for Conextion. Thanks to this new collaboration agreement, Uppsala BIO and Klövern are together taking the next step in the development of Uppsala Business Park. It’s a move towards realizing the vision of a new neighborhood for innovation and growth and a key part of a world-leading life science region. “This is an important step in our ambition and we look forward to an environment populated by a variety of actors in life science and related industries who will enrich one another by sharing resources and competences. 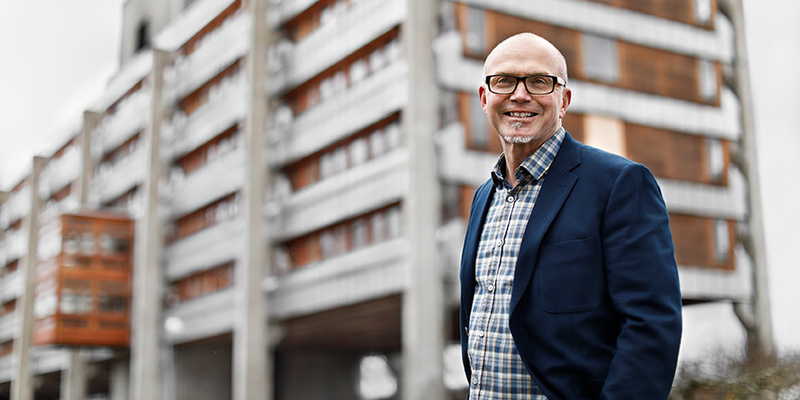 By opening up the park to the rest of the city and integrating services as well as trade, we want Uppsala Business Park to become a place where both companies and people grow,” says Per Nilsson, Project Manager Business Development at Klövern.